We have created a highly digital reality over the last few years and Southeast Asia has emerged as a leading player in this global game. 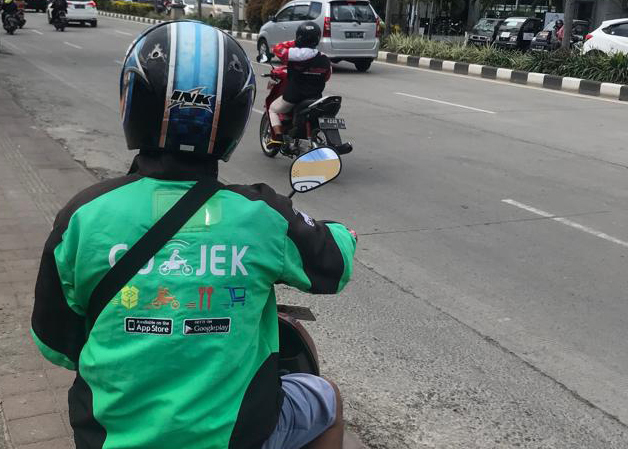 GoJek have become one of Indonesia's most successful start up companies in a very short space of time offering much more than online 'motorcycle taxi' services. We have created a highly digital reality over the last few years and Southeast Asia has emerged as a leading player in this global game. It is no wonder then, the Indonesian government has also been encouraging the development of Smart Cities, making internet access easier (and cheaper), encouraging small and medium businesses and improving infrastructure in an attempt to be ahead of the curve. Gapura Bali reported recently Bali's plans to provide free internet access across the island in 2019, which would support the much touted "Bali Smart Island Initiative" and could change business on the island forever. Internet giant Google and worldwide investment company, Temasek have been researching the effect, potential and implications of this new world e-Conomy and the results are nothing short of staggering. The latest Google and Temasek 2018 e-Conomy SEA Report reveals the industry’s Gross Merchandise Value (GMV) across the Southeast Asian region reached an eye watering US$23.2 billion (over IDR or 336 trillion) in 2018. And Indonesia ranks #1 for e-Commerce transactions. According to Tempo, Google's Indonesia Managing Director, Randy Jusuf, Indonesia's GMV had increased from USD 10.9 billion in 2017 to USD 12.2 billion in 2018 and predicted that this would reach USD 53 billion by 2025. Randy told local newswires this rapid growth in e-commerce was because Asian consumers, especially those in Indonesia, are highly dependent on purchasing products online, explaining Indonesia's e-commerce contributed USD 1 of every USD 2 spent in Southeast Asia. In other words, Indonesia contributed 50 percent of shopping transactions in Southeast Asia. Terje Nilsen, Principal of Harcourts Seven Stones told WILLIAMS MEDIA the results of this kind of report "reinforce the argument that Indonesia is indeed a tech-savvy country with an incredibly bright future. While people don't directly buy property online, they do use digital platforms to search for information and for insights into markets and why for our company it's so important to have the right online profile, sharing the right content and providing genuine information. Unfortunately, real estate agencies don't generally have the same mindset, which is why we encourage them to create more content and deliver a more valuable customer experience in this digital age." Southeast Asia's Internet economy in 2018 is worth USD 72 billion and predicted to reach USD 240 billion by 2025. In 2015 there were 50 million e-Commerce shoppers. In 2018 this reached 120 million. 35 million users in more than 500 cities take more than 8 million rides a day in online transport and food delivery. USD 24 billion has been raised through 2,400 Internet economy deals since 2015.